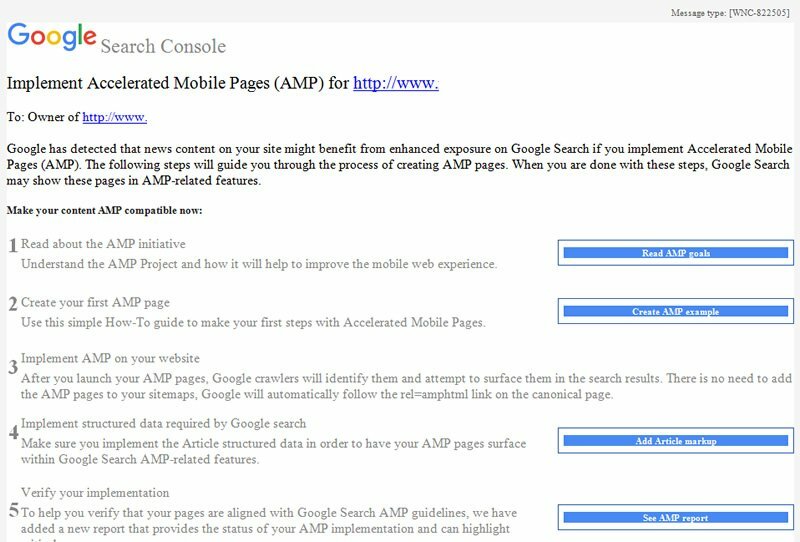 It goes on to explain that Google has detected that the site is news oriented and the site "might benefit from enhanced exposure on Google Search" if you go ahead and implement the AMP guidelines. It then goes through tips on how to do so and verification processes. 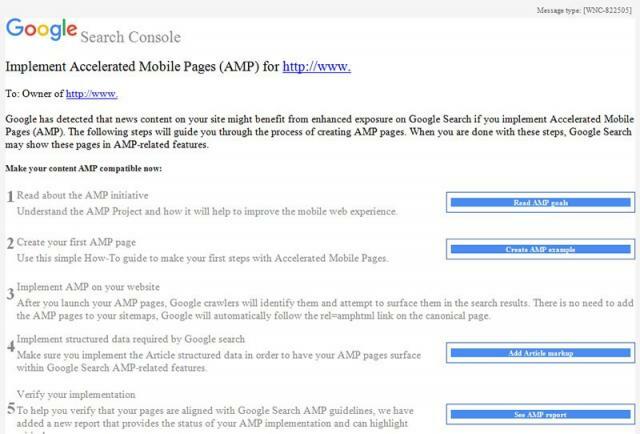 AMP should be launching in about a month and Google is pushing it really really hard. For more on AMP, see here.